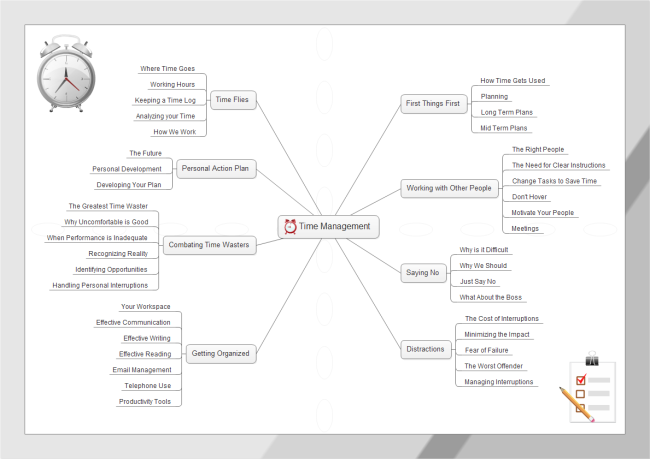 More and more people create mind map examples for business to make rational use of their time and coordinate business and life better. Mind maps have the power to turn long list of boring information into a colorful, highly organized and easy to understand diagram. Following are some professional mind map examples for business, which are frequently applied to various business situations. Hope this article can help you get to know mind maps better and take full advantage of them in your life. Creative thinking is one of the most important requirement for an entrepreneur. They usually draw a creative thinking mind map, such as below one, to remind them how to boost creative thinking, the character traits of creative people and what will kill creative thinking. 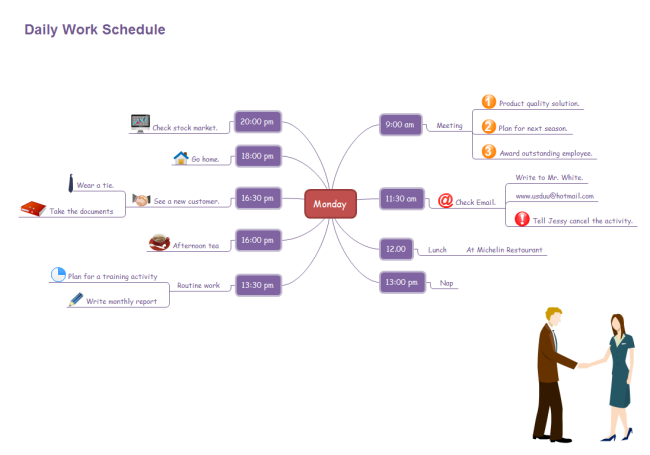 Drawing up a daily work schedule mind map enables people to organize their time more reasonable and improve their work efficiency a lot. Organizing training course is an effective way to improve the competitiveness of a company. 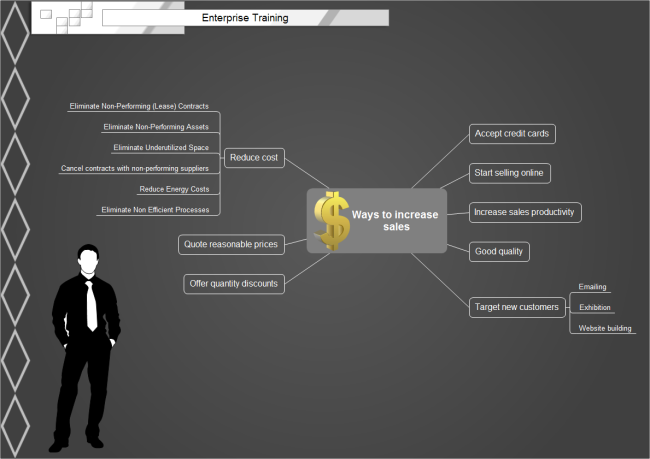 Below enterprise training mind map clear describes the detailed measures to increase sales. Below mind map helps illustrate the essential procedures to carry out an Internet marketing. 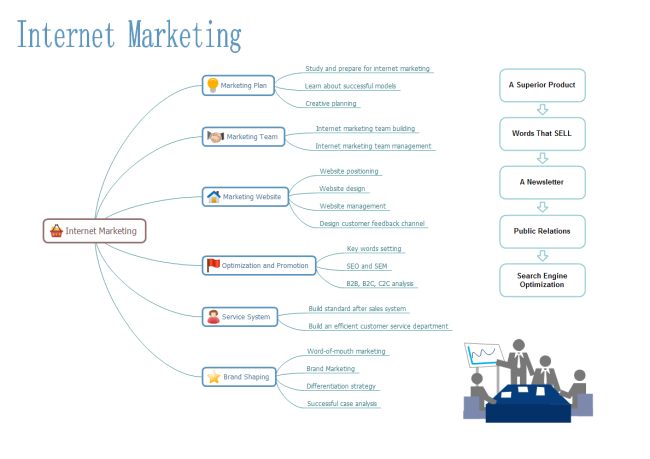 If you are planning to start your Internet marketing, download this mind map and make the preparations. 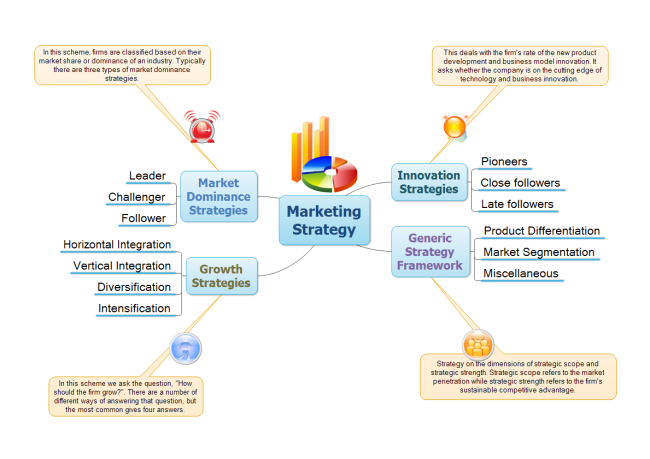 This simple mind map divides marketing strategy into four detailed strategies, and also explains the four strategies in detail to make them easy to understand. 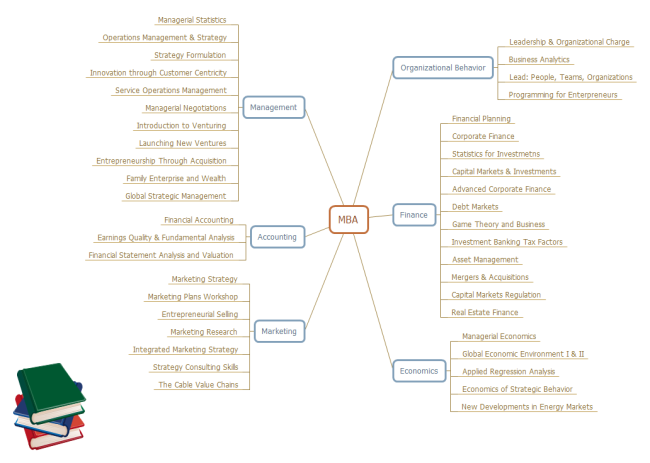 This mind map represents the MBA courses clearly. There are six main subjects and each has many detailed course. People can choose the course fit them most according to the MBA courses mind map. Interview is the necessary step to get a job and before the interview, you should make a professional personal profile first. 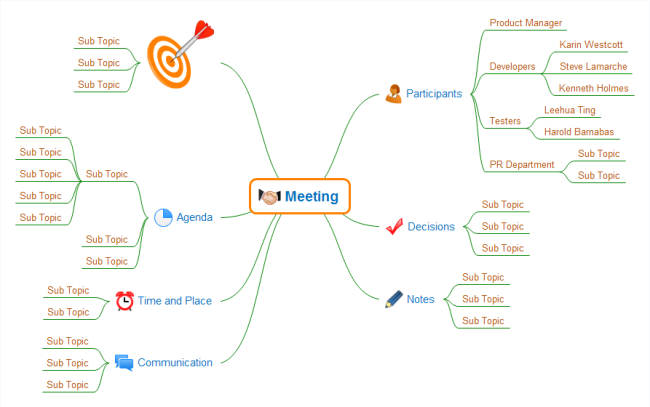 Follow below mind map and make your professional personal profile right now. 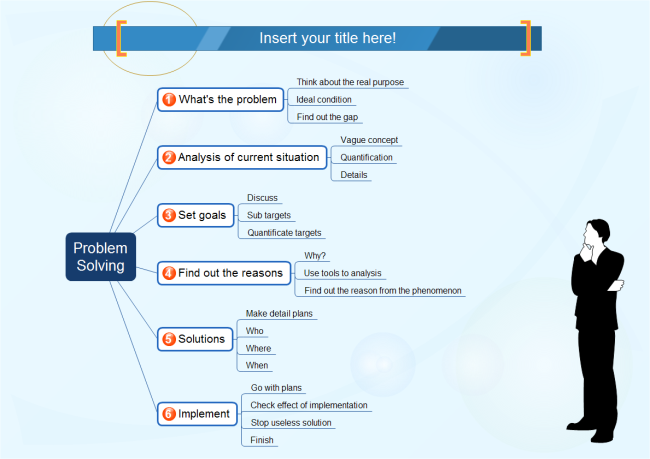 This mind map helps illustrate the basic steps to solve a problem. You should figure out what is the problem, analyze your current situation, set goals and find out reasons, then solve it. Hope this mind map can help you solve those problems you have not solved. There is no doubt that Transporting dangerous goods should follow strict regulations. Make those regulations into a mind map enables people to understand and memory them effortlessly. Edraw Mind Map not only can create mind map examples for business, but also can draw many other mind maps. Click examples of mind map to view and download more examples if any interest.